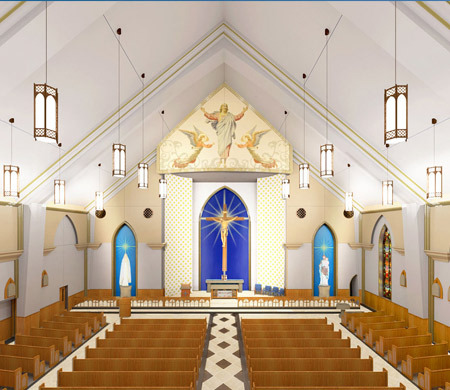 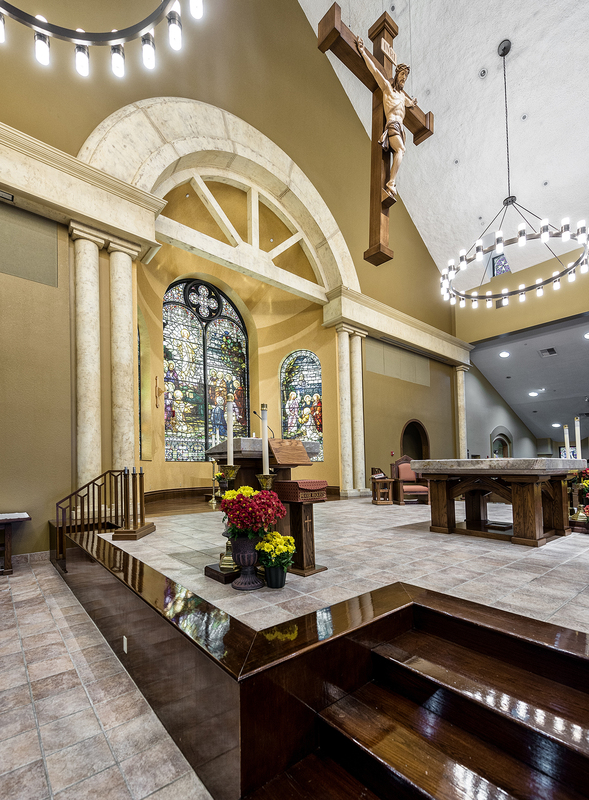 Ascension Catholic Church recently renovated their nave and sanctuary space. 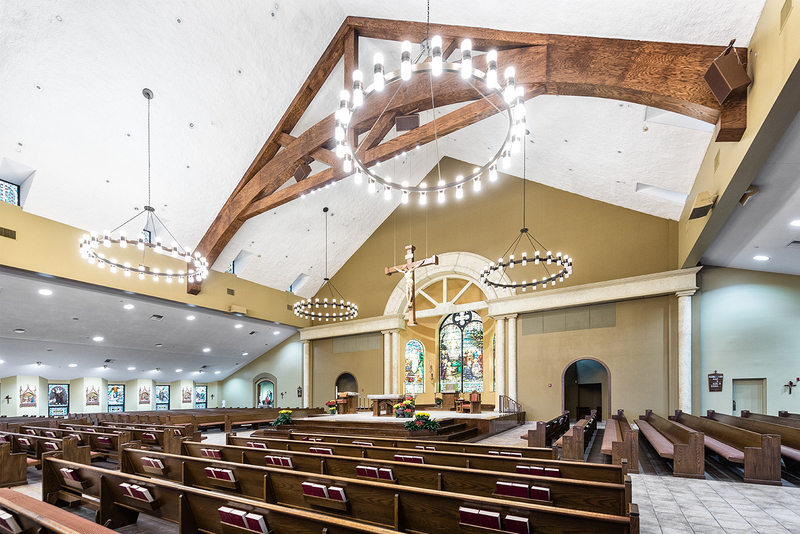 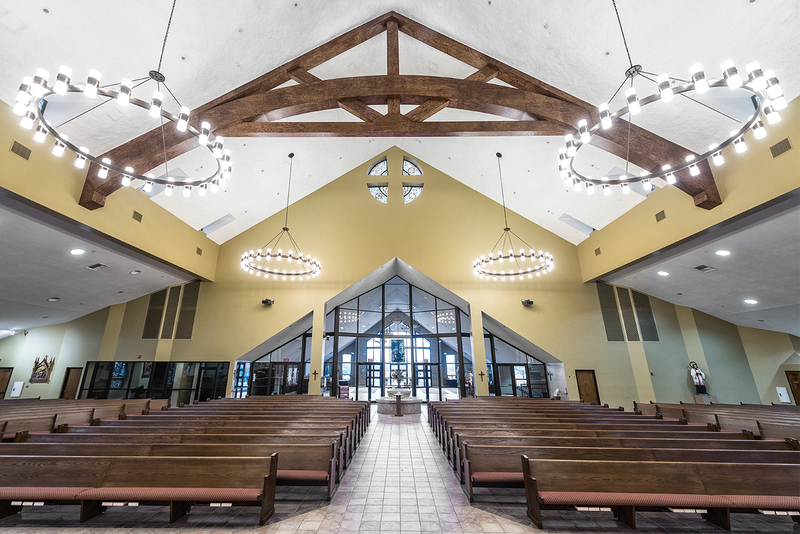 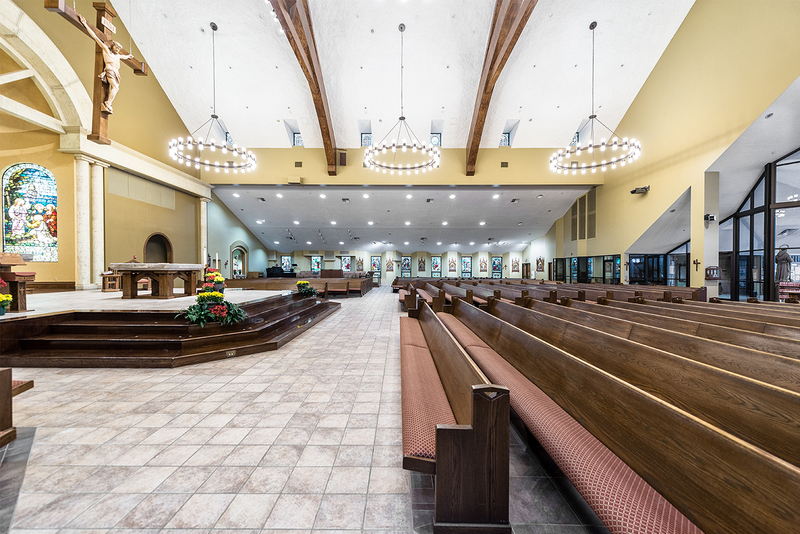 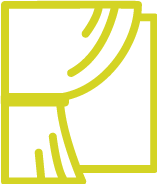 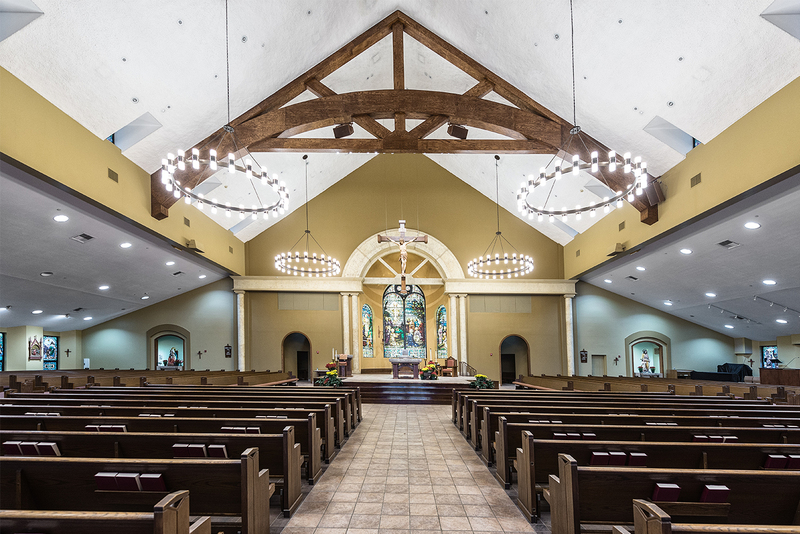 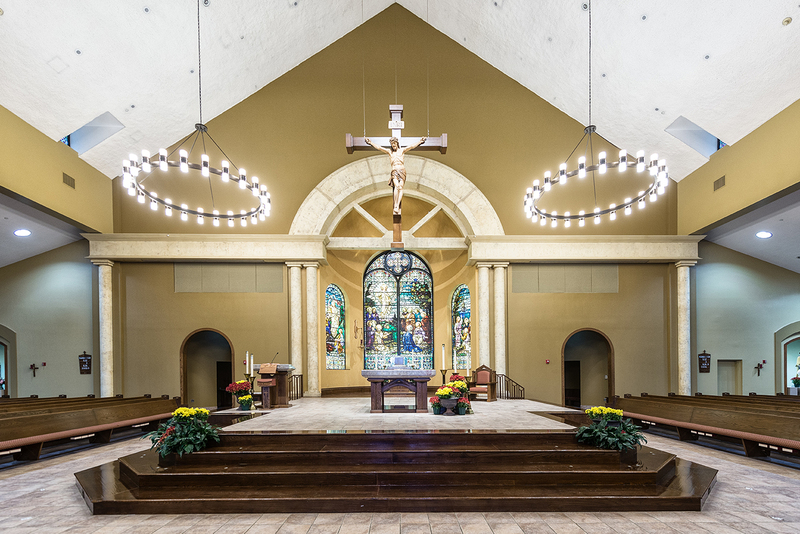 The purpose of this project was to provide a grander, more spiritual experience at the sanctuary, which would be modeled after more traditional Tuscan architecture. 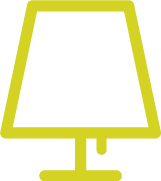 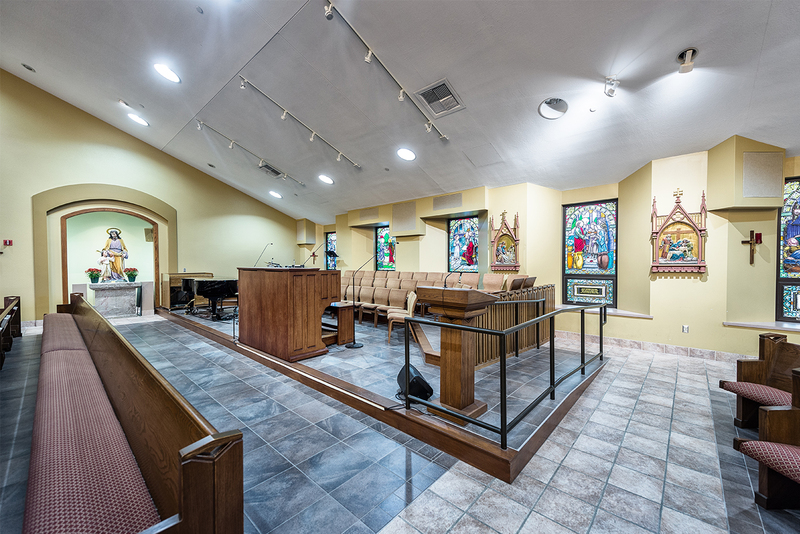 The Church of the Ascension Sanctuary Remodel includes updates to the pews, pew cushions, and the flooring under the pews. 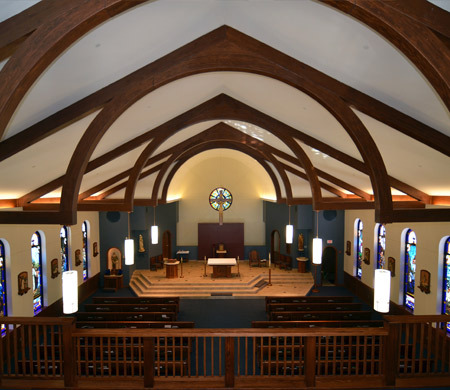 The Choir is reconfigured, bringing it out from behind the altar to allow it to be more visible to the congregation. 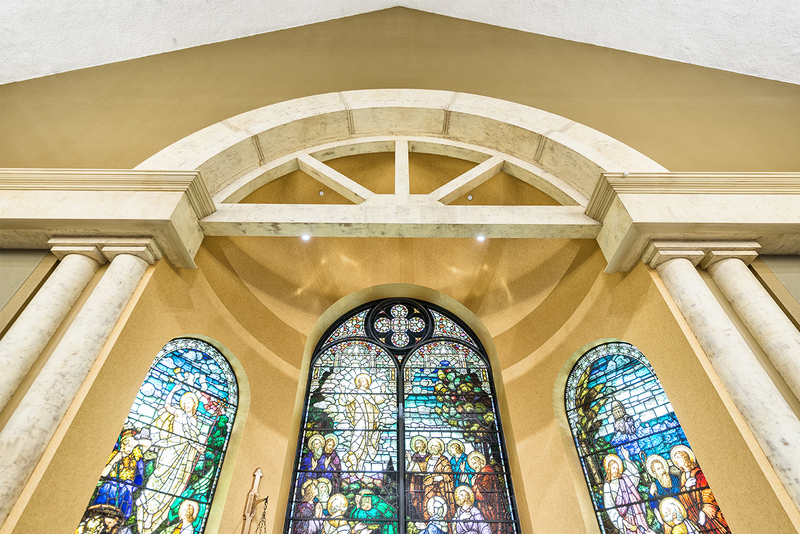 A new focal point is also created, which highlights the Tabernacle through the use of carefully chosen lighting and eye level stained glass.